Take one giant leap into the rain with our sherpa-lined anorak in a new raglan shape. Sporty zips and an inside adjuster at the hem keep the cosy in, while an eco-friendly shower-resisant finish keeps the rain out. 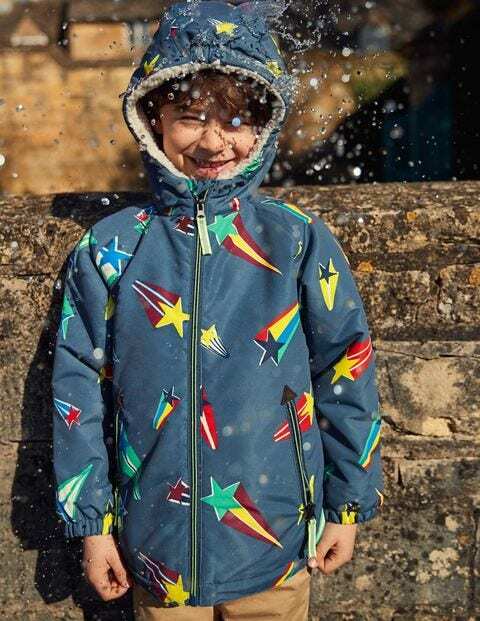 The soft borg lining, elasticated cuffs and reflective detailing will keep Mini ones warm and safe on those chilly walks to school too.